The ABCD Diaries: White Sierra Outdoor Clothing for Spring Camping! White Sierra Outdoor Clothing for Spring Camping! We are lucky down here on the Texas coast in that we can pretty much camp year round, but we seem to do a lot more camping during the Spring and Fall than any other time of year. I love having functional clothing for our outdoor activities that looks and feels great and can transition easily from indoors to out. Enter White Sierra, a 35 year old, family-owned company that makes quality outdoor apparel for the whole family. The folks at White Sierra know that most people don't need to climb a mountain or kayak through rapids to enjoy the outdoors. Their outdoor apparel fits YOUR OUTDOORS, whether that's going for a day hike with your family or playing frisbee in the park with friends. White Sierra is everyday clothes for real people who enjoy everyday outdoor activities. 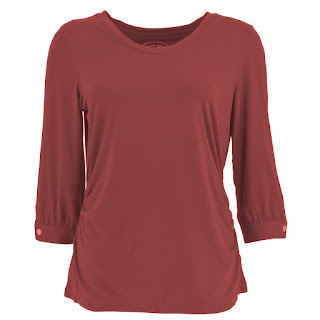 The Tangier 3/4 Sleeve Shirt is a super soft, easy care and wear top. 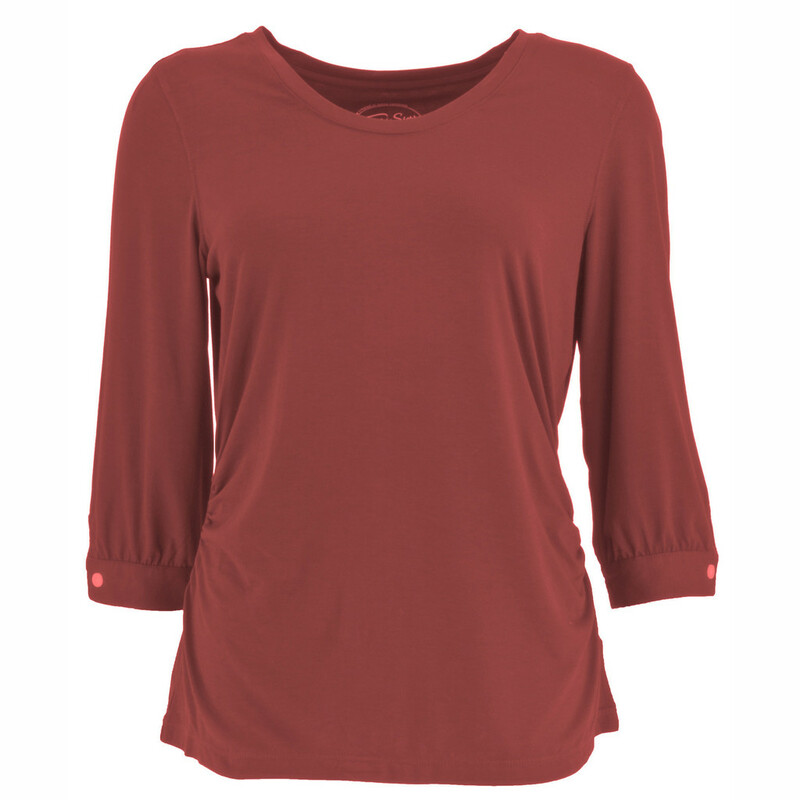 With its deep v-scoop neck, curved hem and ruching at waist design, there's no reason you shouldn't look this good while exploring the outdoors! I love this top! It is super soft and comfy, while featuring superior breathability. It comes in several fun colors and is great for maintaining cool, low-key style both indoors and out. White Sierra has a great variety of functional clothing for the whole family, including lines specifically made with rain and mosquito repellent properties. If you spend a lot of time outdoors and don't want to sacrifice style for functionality, outfit your family at White Sierra! Surprizamals Are Popping Up This Spring! Tastykake Limited Edition Spring Treats! Winning Moves Board Games for Spring! DC Super Hero Girls + $100 Visa Giveaway! Educational Insights Toys For Spring! Mother's Day Gift Idea from Cuddle Barn! Paper Pumpkin Craft Kit- March Edition! Spring Favorites from Cuddle Barn! Pure Spoon Purees For All Ages! Treat Yourself to GoOrganic Candy This Spring! Girlie Glue: All-Natural Hair Accessory Glue!